It is our 2nd time to Kefalonia. Kefalonia is a very good island, last time we stayed in Evans apartments. Very nice apartments with great views. The information from the reps named India was not good and was not correct either. They did not recommend the good tavernas. She told us to go to “said tavernas” but not to others. This year we came to Kefalonia with a different Tour Operator and we stayed at the Irilena Hotel. It was a very friendly hotel, very clean and the staff were very friendly. I am not happy because we have the same rep “India”, who can be very two faced, she tried to sell us very expensive trips and also tried to tell us which tavernas to use. I am a very well travelled tourist, I do not accept the reps recommendations, I want to decide for myself. I choose Oskars, much to my delight. I would like to say to the Tour Operators in Kefalonia, please allow the tourists to decide for themselves or give the tourists the correct information. 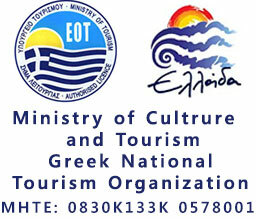 Our advice to ALL holiday makers is – dont take the advice of the tour reps – make the decisions on which tavernas to visit yourselves and ask other tourists – they will always know which tavernas are good and which ones are the ones that perhaps reps want you to use for their own personal reasons. Al tourists should give Oskars a try as it is the best taverna on the island of Kefalonia. My advice to Oskars – be very cautious of the reps. I will not say the names of these reps or the tour operators but you and they know who they are. You probably dont know that the reps change tour operators each year – this has been the case with the two tour operators that were not kind about Oskars – maybe next year there will be no bias and the right comments will be said about the tavernas without prejudice. I was in Kefalonia last year with a couple of friends. I will not talk about the beaches and the villages because I’m sure you have heard a lot about these kind of beauties in Kefalonia. Let me just mention a couple of things that impressed us on our trips. First of all, I had a fantastic time with beautiful views over looking the sea from our balcony where we stayed in Lassi (Oskars studios). Luckily, we rented a car and we could visit some of the best beaches that the island is popular for. Myrtos was just a beautiful beach, as far as I can remember we stayed there for a few hours. Lourdas and Antisamos are very nice too. Unfortunately no time to go to Fiscardo and Lixouri, hopefully next time. You see the island is so big that it was impossible to see it all at once. So next time is coming and just now I am looking for flights to kefalonia and of course once again we will book our accommodation at oskars studios. This a wonderful hotel with full of excitement, variety of foods at the restaurant. You just feel at home and the apartmets are very good with update modern room facilites. I can simply describe the hotel as a home away from home. Oskars hotel is just a good place to have a vacation. Once you found yourself in Greece, dont miss to lodge in any place apart from Oskars. The 3 brothers is unique as they treat you not as a guest but rather as brother, sister or family friend. It is a hotel never to be forgotten especially Mr Andreas and his wife Rosa. They are such a nice family to stay in their hotel. The 3 brothers Kostas, Makhs and Yianis are lifewire of the business. They treat guests with full respect, hospitality and courtesy. Oskar has given me the opportunity to see Mr Parisis as I slept at Oskars, the following day I met Mr Parisis, the Great Greece politcian and a Former Minister of Finance at the ISBEFA 2012 Conference. Oskars is really a place to spend a holiday. Had a wonderful time, every member of staff were friendly, considered all our needs. I even danced with the waiters. Great fun at my age of 64yrs young. Many thanks to oskars 3 brothers. I had drunken mezes and it was georgeous. The wife had pita chicken plate which was just as georgeous. Here we are in Kefalonia again.. 9th time now and always at Oskars, such A superbly run Taverna and Top Notch Apartments too, the ideal location for your stay in Lassi, Sadly we have to fly back to London 2moro but will be back here in 9 months. Andreas and his family are the ideal hosts for an evening out or for A 2 week stay. Thanks for helping make our stay on the island so wonderful. These are the friendliest, warmest people in Greece. If you’re staying in Lassi, Oskar’s is well worth the walk. We have just returned home from Kefalonia and miss it so much already. We have never been to such a beautiful island. People very friendly. Oskar’s well worth a visit. Great service and food. I asked for sport to be put on and it was, great. Most restaurant in Lassi, encourage you in, with Oskars they let you choose.